The former finance minister also said the scheme showed that the BJP was living by the "truth that desperate times require desperate measures". The Rs 75,000 crore scheme was launched by Prime Minister Narendra Modi in Gorakhpur on Sunday by transferring the first instalment of Rs 2,000 each to over one crore farmers. The scheme was announced in this year's Interim budget whereby the central government announced that it will provide Rs 6,000 per year in three instalments to 12 crore small and marginal farmers holding cultivable land up to up to two hectares. "PM launches 'Cash for Votes' scheme. After driving farmers into debt and acute distress, the BJP is desperately trying to placate them with crumbs of Rs 17 per day per family," he said on Twitter. 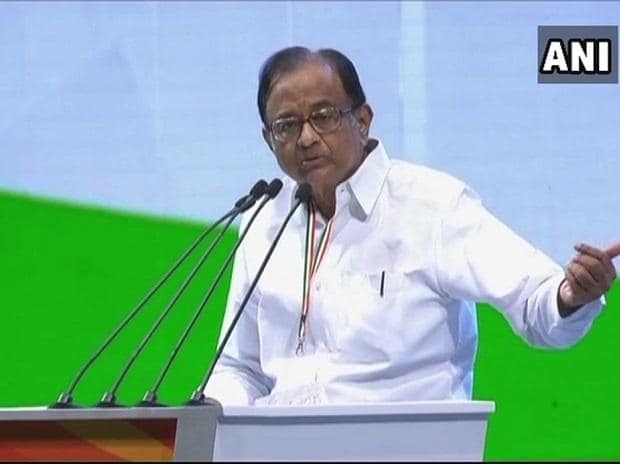 Chidambaram also hit out at the government over the reduction in GST rates for the housing and real estate sector, asking where was this wisdom when the Congress told the government to reduce these rates. He alleged that the BJP government has made a mockery of the GST. "GST rates cut for construction sector. Where was this wisdom when we had told the government that, with multiple and high rates, they were making a mockery of GST," he said. The senior Congress leader on Sunday dubbed the PM-KISAN scheme as a bribe for votes and said the greater shame is that the Election Commission is unable to stop it. Today is the 'Cash for Vote' day. The BJP government will officially give a bribe of Rs 2000 per agricultural family to get their votes, he had tweeted. Nothing can be more shameful in a democracy than 'Bribe for Votes'. The greater shame is that the Election Commission is unable to stop the 'Bribe for Votes', he had said.